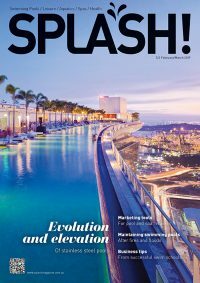 New sophisticated automation system designed to be simple to use, program, install and sell. 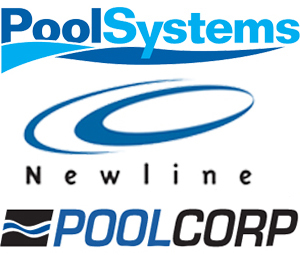 The innovative system architecture, paired with the sophisticated look and feel of all user interfaces, marks the first controller of its kind to address the long-standing needs of pool owners and pool builders alike. The sophisticated controller combines the multi-platform, user-friendly interfaces of today’s leading-edge consumer electronics (iPhone, Android) with an intelligent, modular system architecture that makes design, installation and programming easier and more efficient than traditional controllers. Save time and money by easily programming your pump speed and filtration schedules, and scheduling weekly cleaning and maintenance. 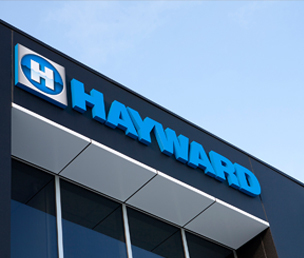 Cut down further on energy costs by utilizing Hayward’s NEW 10 Star Energy Rated TriStar® VS Pump with OmniLogic. 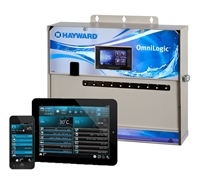 A breakthrough innovation in backyard automation, OmniLogic boasts an array of industry firsts.